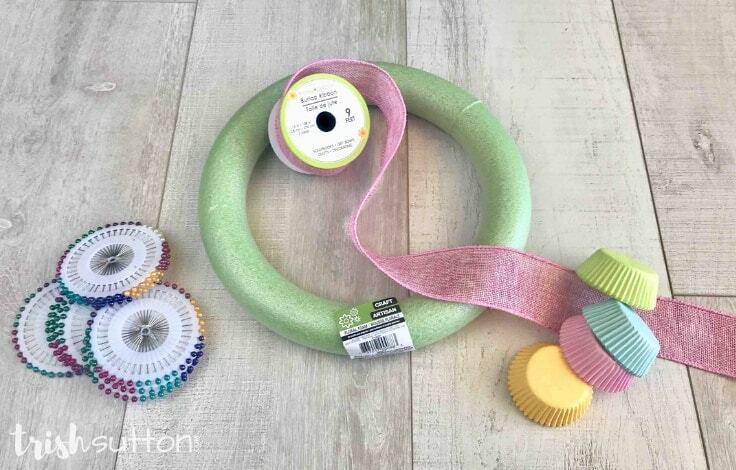 Follow this easy craft tutorial to create a colorful wreath made with cupcake liners, a foam craft wreath, and straight sewing pins. This is simple seasonal decor you will love. 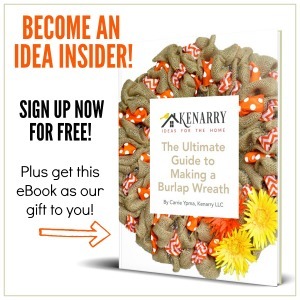 Greetings Kenarry Readers and Happy Spring! 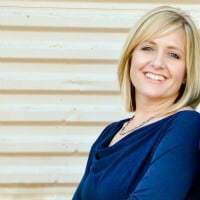 Trish here with a lovely spring decor idea. 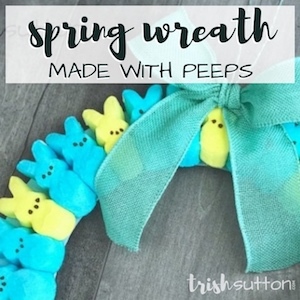 You may or may not already know this about me but I am a huge fan of wreaths. I absolutely love adding seasonal decor to our front door and above our fireplace. 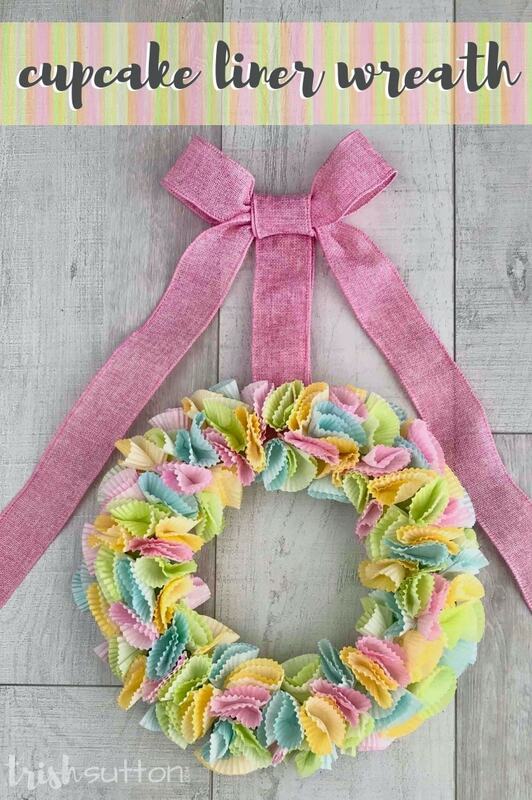 Recently, I created a colorful wreath with Easter and Spring in mind. I love the finished product so much that I just had to share it with you. 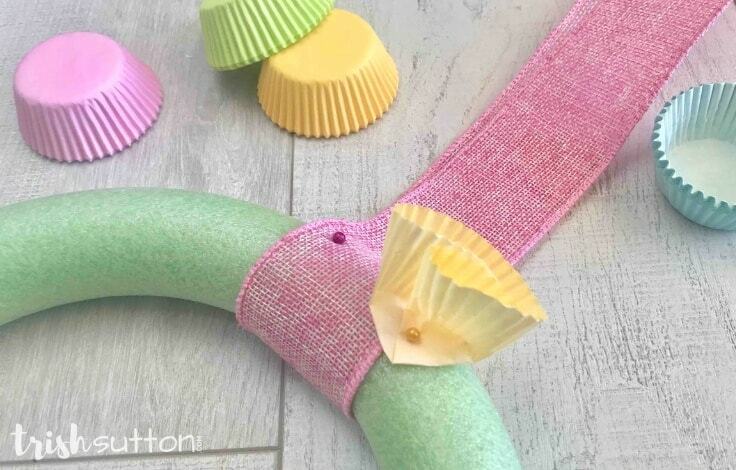 Below is a very simple tutorial for creating your own colorful wreath made with cupcake liners. 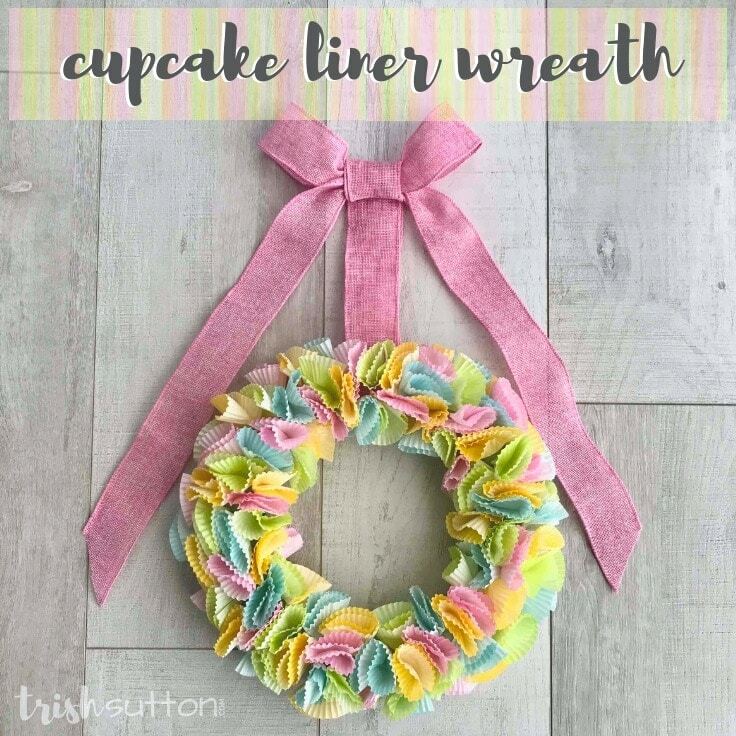 If you shop at the Dollar Store like I did you can make this wreath for less than $7.00 and with all of the cupcake liner color and pattern options the theme possibilities are endless. 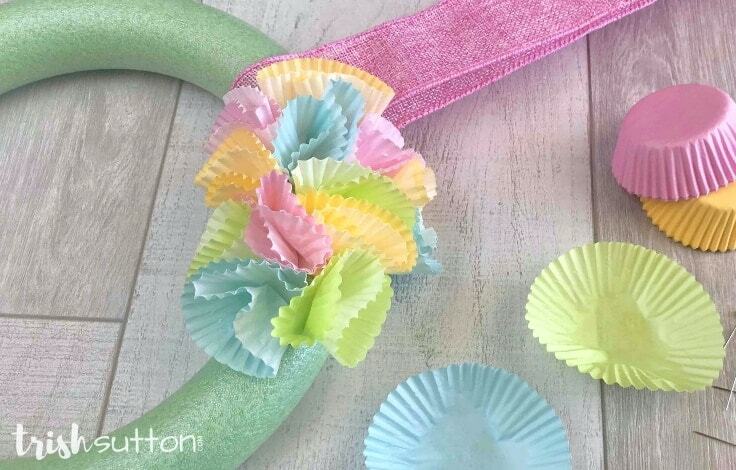 The number of cupcake liners needed is based off of covering the front and sides of the wreath. I did not place any liners on the back of my wreath that rests against the door. If your wreath will be seen from both sides I recommend you double the mini cupcake liner and straight pin count. 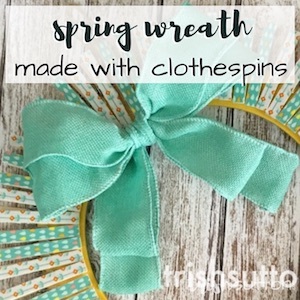 Begin creating your seasonal decor by wrapping a ribbon around the foam wreath then press two sewing pins through the ribbon into the wreath to secure the ribbon in place. 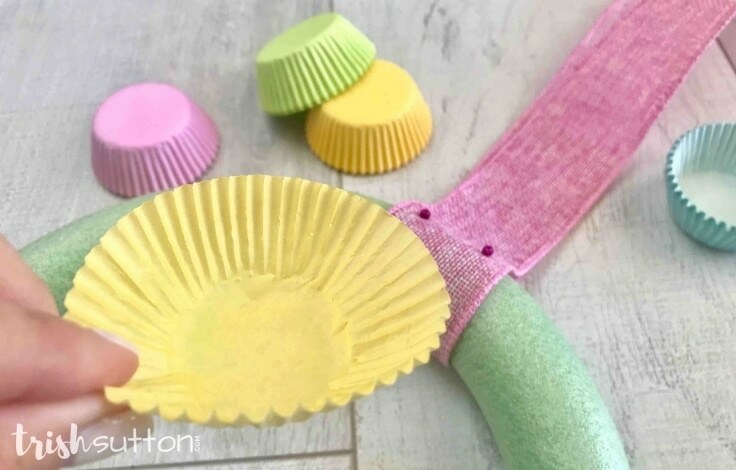 Flatten a cupcake liner by flipping it inside-out. Next, fold the liner in half then fold it one more time. The second fold does not necessarily need to be exactly in half. 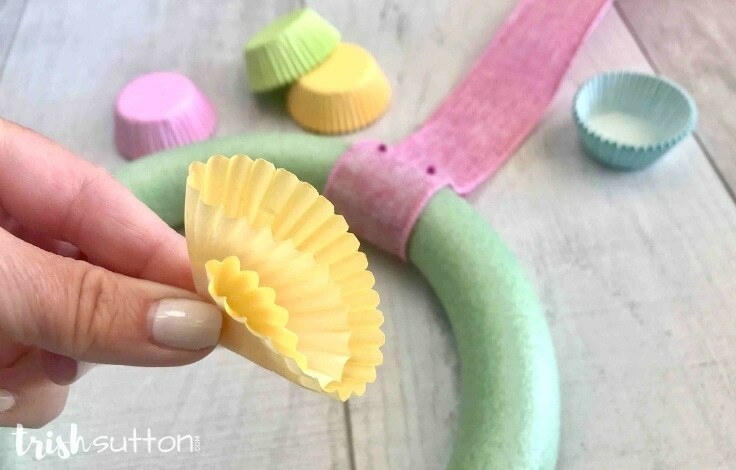 Press a straight pin through the folded end of the cupcake liner then push it into the wreath. The liner will automatically open up a little bit like a flower and your Colorful Wreath will begin to take shape. However, you can always fold the edges to shape them if preferred. 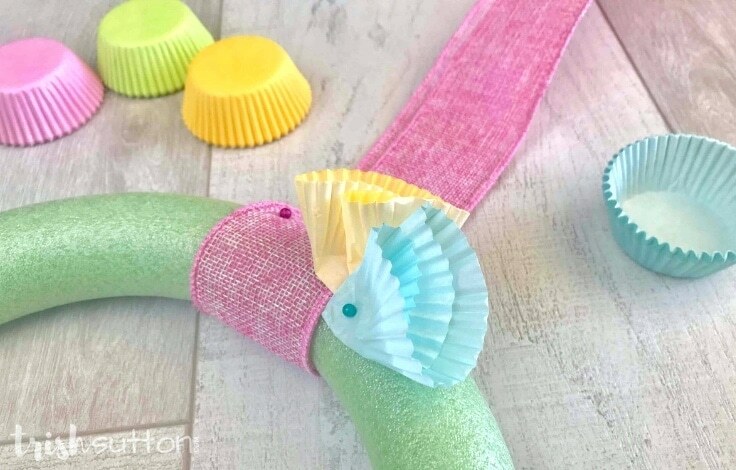 Continue to fold cupcake liners and pin them onto the wreath until the front and sides of the wreath are covered. 4. 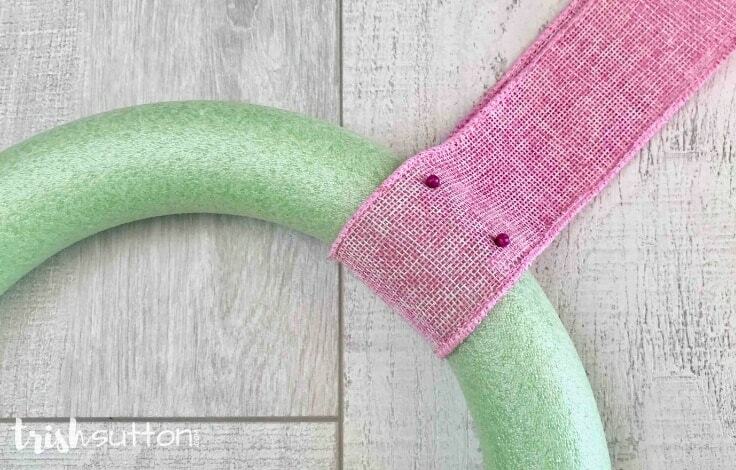 Hang Up Your Colorful Wreath. 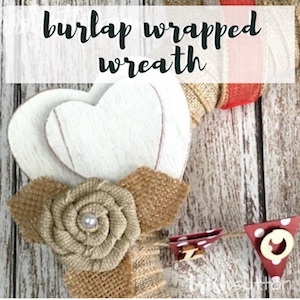 Finally, tie a bow and your colorful wreath is ready to hang.